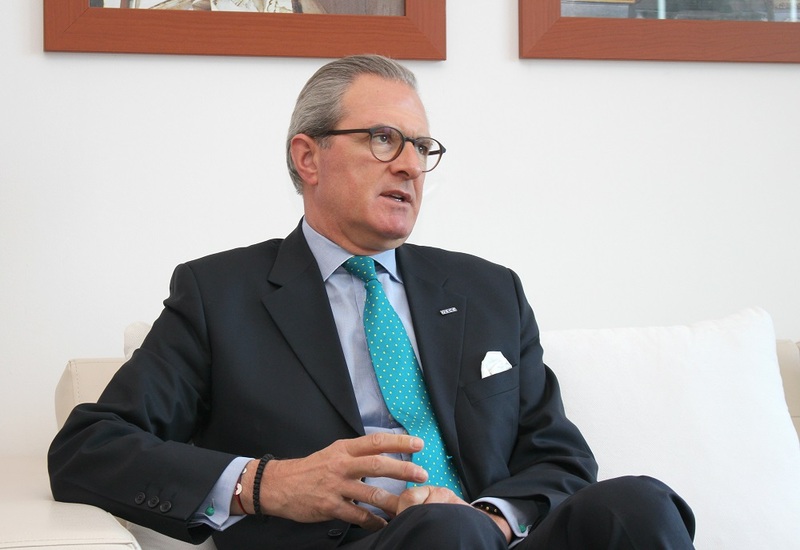 In this IBNA interview, the OSCE Head of Mission in Skopje, Ambassador Clemens Koja speaks about developments in the country, the presidential election, and the OSCE support for North Macedonia. “It is important to continue to make progress towards achieving the country’s strategic goals and implement reforms that are in the interest of all citizens. As a Mission, we will continue to support the preparation and implementation of reforms that will help the country to better fulfill its OSCE commitments and improve the lives of the country’s citizens.”, said ambassador Koja. How do you assess the course of developments in North Macedonia since the country faced major challenges such as the resolution of the country name issue? I think it is very positive that after the Constitution was amended and the name changed the Government and the Parliament returned their focus tocore reform initiatives. I am particularly encouraged that important legislation has advanced in key areas such as intelligence and judicial reform where we saw co-operation between governing and opposition political parties. It is important to continue to make progress towards achieving the country’s strategic goals and implement reforms that are in the interest of all citizens. As a Mission, we will continue to support the preparation and implementation of reforms that will help the country to better fulfill its OSCE commitments and improve the lives of the country’s citizens. Presidential election process has started in the country. How would you assess the pre-election environment? I have followed the process of selecting candidates by the major political parties, and I have also had a chance to meet several of them myself. I expect a fair and competitive campaign, where all sides will have a chance to put forward their ideas and credentials for the country’s highest office. We would have liked to see the efforts to reform the electoral code come to fruition ahead of these elections, in line with OSCE/ODIHR recommendations from past election observations. We will continue to support efforts to reform the code after the elections. Will OSCE have monitoring capacities as in other elections? Monitoring the elections is the job of the OSCE/ODIHR Election Observation Mission (EOM), which arrived in Skopje last month, led by CorienJonker. They plan to deploy across the country during the campaign and on voting day. Your readers may have seen reports of the Head of the EOM’s press conference on 12 March, at which she provided details about the composition and mandate of her Mission. Hate speech continues to reappear during election cycle. What is your message in this regard? You are absolutely right. Data on hate crime collected by the Helsinki Committee, with our Mission’s support, show that the number of incidents increases substantially before elections. Hate speech is a negative phenomenon that poses a threat to improving inter-ethnic relations and political reconciliation. Although the country does not yet collectdetailed statistics on hate incidents, according to the data that does exist intolerance on ethnic, political, and religious grounds poses complex challenges for the country. This shows that more initiatives aiming at addressing existing trends are needed. We have supported a number of initiatives to combat hate speech and hate crime. The most recent include a public awareness campaign on hate speech and hate crime around sporting events and support for the establishment of the Network for the Fight against Hate Speech in the Media. We will continue to support criminal justice agencies, the judiciary and civil society actors in the fight against hate speech and hate crime. The government is facing new challenges pertinent to reforms, especially in the judiciary area and security bodies. What will be your focus and support in this process? A number of important reform laws have been passed over the past two years. However inconsistent implementation and application of these initiatives remains a challenge. We at the OSCE Mission to Skopje will continue to support the national judicial authorities in the implementation of the goals and measures envisioned in the Judicial Reform Strategy. Our assistance will focus on legislation drafting and policy advice, especially when it comes to practical implementation of the legislative standards. We will also provide capacity building training for legal practitioners and continue to monitor high profile trials.